A tale as old as time. A couple meets, they fall in love, and get engaged. Three years later: no wedding and the rose tint fades. 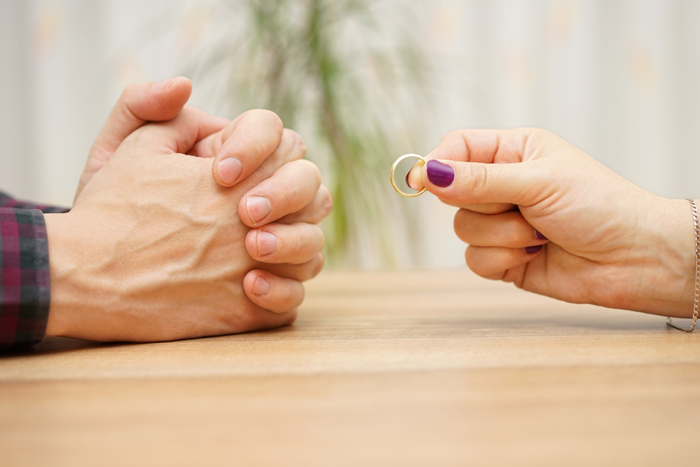 The couple has been together for years, accumulated lots of property and now they are left wondering “what happens next?” Although not as clear cut as a dissolution, couples who cohabitate, engaged or not, have property rights in a break up. The most frequent question asked is whether or not the engagement ring has to be returned. In 1990, the Iowa Court of Appeals ruled that an engagement ring given in the contemplation of marriage is impliedly a conditional gift. Fierro v. Hoel, 465 N.W.2d 669, 671 (Iowa App. 1990). In other words, yes, if the marriage does not occur, there is not a completed gift and therefore the Donor (person giving the ring) has the right to demand the return of the ring. The property amassed by couples who cohabitate can be divided through a process called Partition. Partition is an equitable proceeding (meaning the Court has broad power to do what’s fair) that is available for both real and personal property wherein the Court divides the property or the proceeds from the sale of the property. Break ups can be messy, but with the right advice you can protect yourself and make sure you receive all of the property you are entitled to.